Establishing an Organising Committee for the 2019 Pacific Games at the earliest possible date is the key priority for Samoa after the country officially replaced Tonga as hosts of the event, the head of the nation's Olympic Committee has warned. Samoa Association of Sports and National Olympic Committee (SASNOC) President Patrick Fepuleai told Radio New Zealand that they needed to appoint an Organising Committee and a chief executive as soon as possible. Fepuleai admitted they were on a tight time-frame as the Games in Samoa are due to take place in July 2019. He also revealed that the Pacific Games Council (PGC) had given Samoa a series of timelines that they need to work towards, although he did not confirm exact details about deadlines they had been set. Samoa was awarded the 2019 Pacific Games by the PGC last month after Tonga withdrew due to financial concerns. Guam also put themselves forward to step in but Tahiti were ruled out because of a lack of Government guarantees. "We need to get our Organising Committee in place and with that we need a secretariat to help carry this out - these are the people that would be working full-time to help us deliver the Games," said Fepuleai. "We need to appoint somebody to head that secretariat like a chief executive so we need to get legislation in place to not only recognise but also incentive for our sponsors, so these things we did previously for the Pacific Games when we hosted in 2007 so the templates are all there. "The only issue here is we have such a short turnaround time to do all this - it's actually less than two years because it's July 2019 when we are proposing to have the Games." Fepuleai revealed their budget for the event would be around 40 million Samoan tala (£12.2 million/$16 million/€13.6 million). The SASNOC President claimed the Government would underwrite any overrun costs related to venues due to be used at the Games. 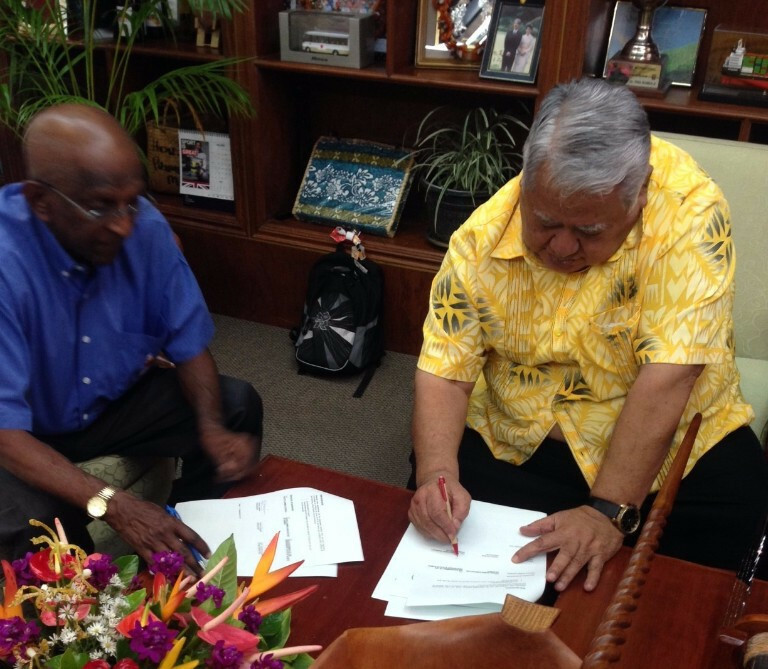 Samoa are likely to use venues which staged events at the 2015 Commonwealth Youth Games. "We might need to revisit that at some stage with the Pacific Games Council but that's basically what we submitted in our bid," said Fepuleai. "It's a lot of money involved but at the same time I think as a party to this need to sell the Games, get sponsors on board to help alleviate these costs. "Government would underwrite but with the exception of I think our netball courts, which got damaged by cyclone Evan, all our facilities are in good nick. "Some of them we used for the Commonwealth Youth Games but the good thing about it is we do not need to build any new facilities for the sports that we are hosting, so that's the great thing about it."